Once you set up synchronization between Outlook and Google Gmail Contacts, your Contacts will be synchronized automatically, so the changes made in Google Gmail will automatically reflect in Outlook and vice versa. 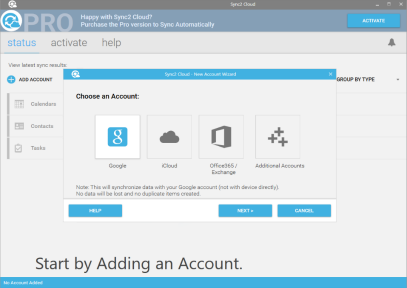 With Sync2 Cloud, you can choose one or two-way synchronization between Outlook and Google Gmail. You will be able to keep your Outlook Calendar and Contacts with Google Gmail in sync at all times, because changes made in one source will be transferred to the other. 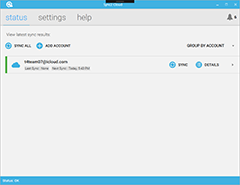 Sync2 Cloud gives you the possibility to import Google Gmail Contacts into Outlook and vice versa. Share your Google Gmail Contacts, Calendar and Tasks with others. In a few moments Outlook will be synchronized with Google Contacts.